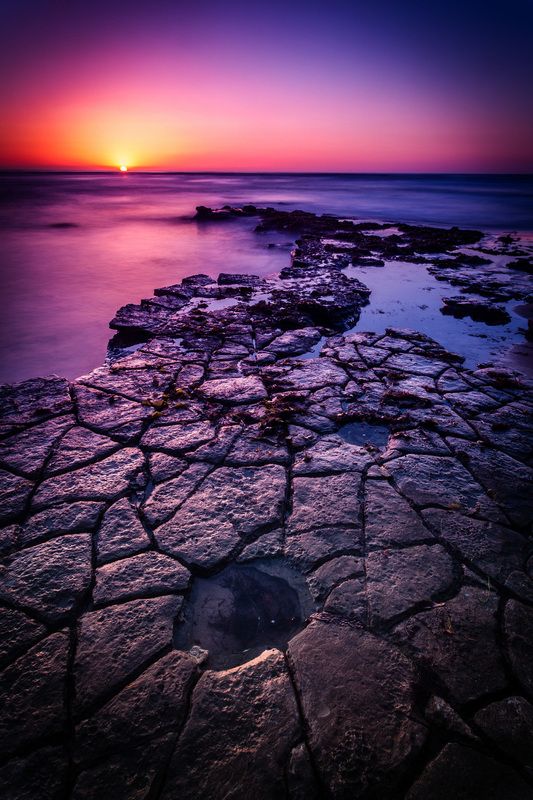 The orange sun begins to dip below the pacific horizon as it casts its last glow on the puzzle at Sunset Cliffs in Point Loma, near San Diego California. This was fun to shoot, and I could literally see the sun as a big orange disc slipping down below the horizon, bathing the distant sky in vivid orange. I used a graduated ND4 filter on my lens to hold back some of the light on the horizon, and this was one of the first successful images to come out of the 20-35mm lens as well.